Catalan police have clashed with demonstrators who blocked major roadways to protest against the arrest of the region's former leader Carles Puigdemont. Footage shows officers using batons to forcibly remove demonstrators. Pro-independence protesters began blocking roadways before dawn on Tuesday, expressing their anger at the recent arrest of Puigdemont in Germany and the jailing of other leaders. At around noon local time, riot police confronted protesters on the AP-7. Footage posted on Twitter by Europa Press showed officers bashing demonstrators with their batons. Another video posted by Diari ARA showed three officers targeting two individual protesters, using batons and physical force against them. 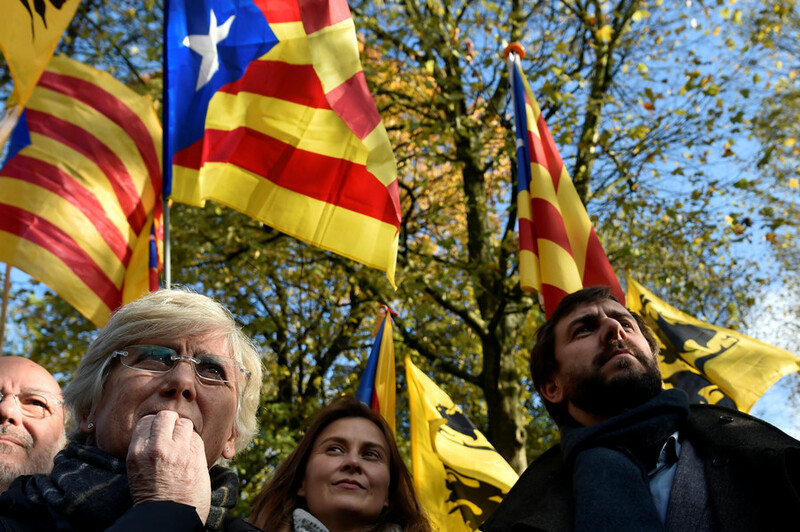 Around 2,000 people came out to the AP-7 motorway near the French border to demand Puigdemont's release on Tuesday, according to Catalan news outlet VilaWeb. 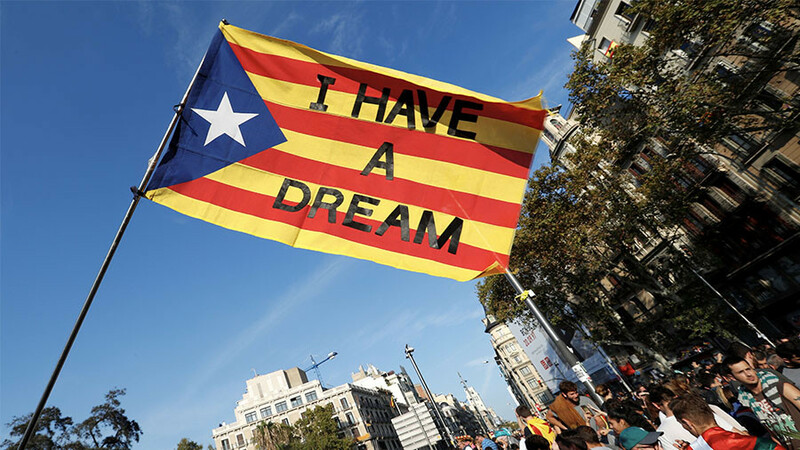 Demonstrators also took to the N340 that links Catalonia with Spain's southeastern coast, as well as central Barcelona roads. Photos posted on social media showed a barricade of tires with banners that read "Catalan Republic Now" and "Free political prisoners." The protests were called by the radical Committees in Defense of the Catalan Republic, under the hashtag #PrimaveraCatalana (Catalan Spring). Mass protests also took place on Sunday night, with violent clashes between police and protesters leading to more than 80 injuries. Police reportedly fired warning shots and used brute force against protesters on Sunday, as demonstrators pelted officers with eggs, cans, and glass bottles. At least four arrests were made, according to Spanish media. 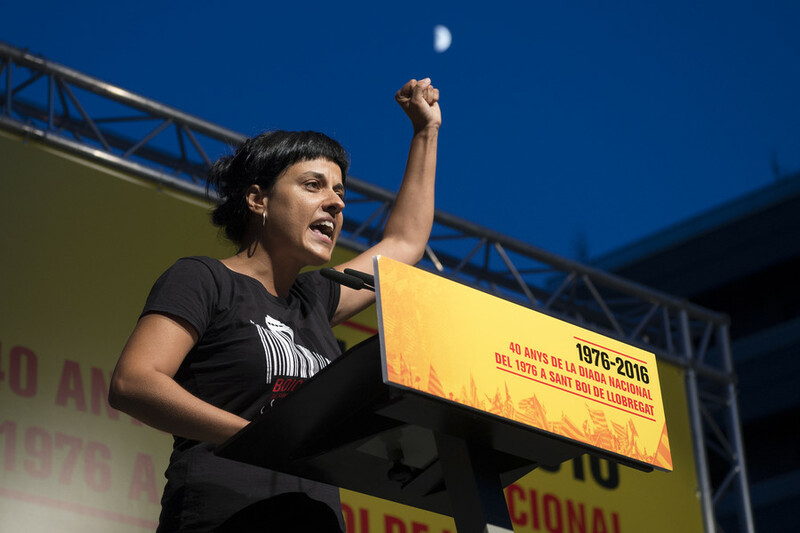 "With the latest imprisonments and the arrest of President Carles Puigdemont, it is clear that we have already passed a point of no return," the CDR said in a statement, as quoted by Spanish media. 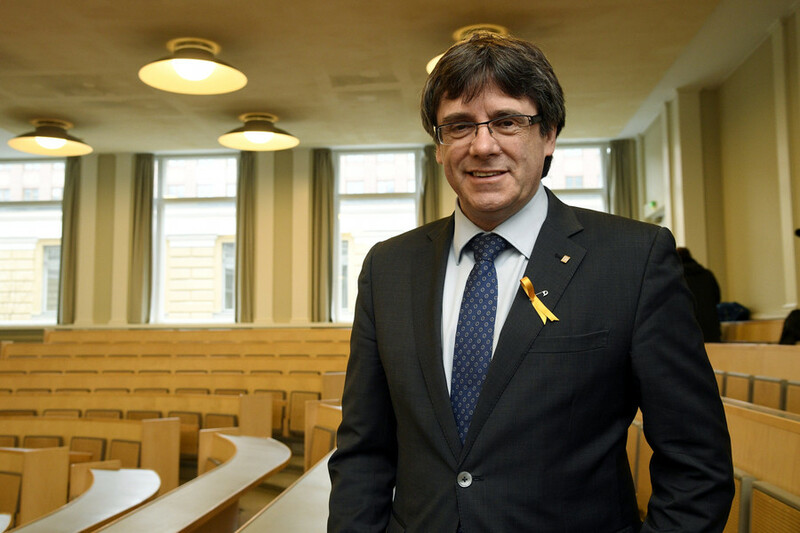 The former Catalan president was detained in Germany over the weekend on his way from Finland back to Brussels, where he has stayed in self-imposed exile since the Catalan government declared independence in October last year. Puigdemont is wanted on charges of rebellion and sedition in Spain. 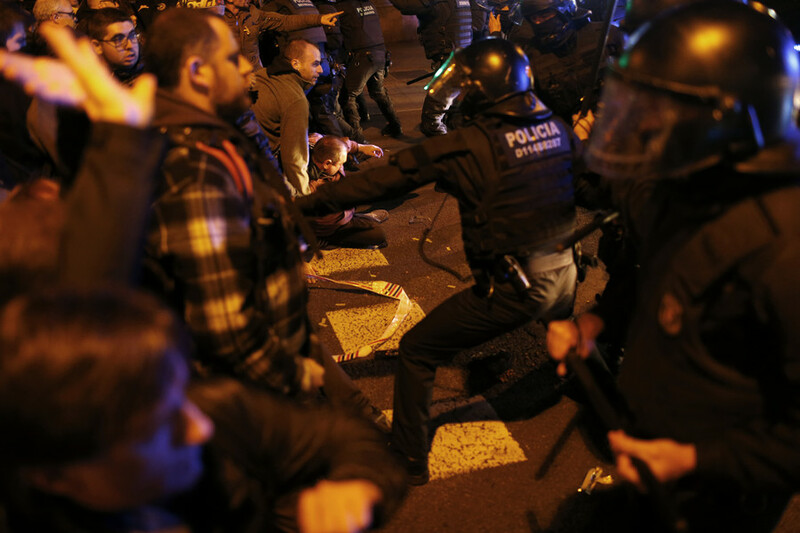 The violence from Catalan police is reminiscent of what took place during the 2017 independence referendum, which was ultimately declared void by Madrid. Human Rights Watch (HRW) determined in October that the Spanish national police had used "excessive force towards peaceful Catalans expressing their political opinion." 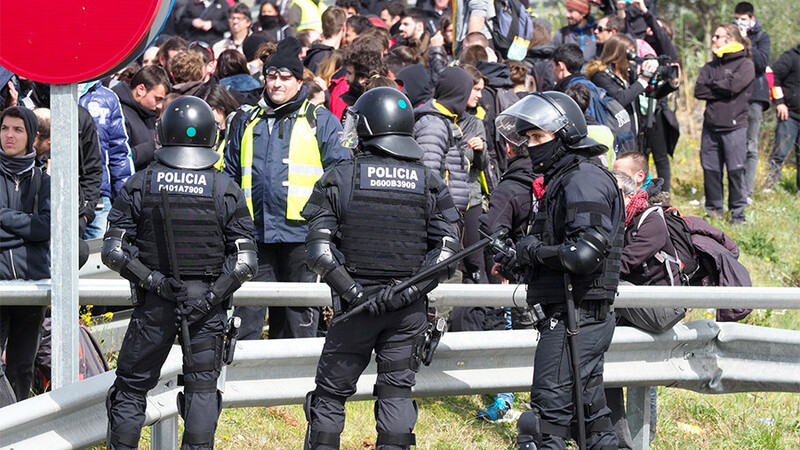 While some of the Catalan police units opted not to assist Spanish law enforcement, other participated in the crackdown.